This project in Sheffield was a fusion between the contemporary and the traditional. 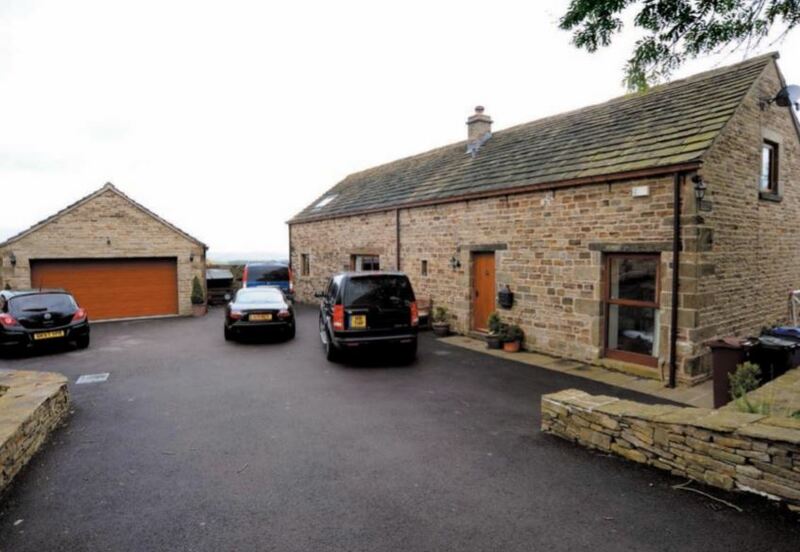 A client living in a 500-year-old converted barn, that was a listed building, required more room and needed to extend. After 5 frustrating years, monetary costs and many proposals to the planning authority (all being refused), they finally realised permission to build a subterranean extension under the back garden with a link into the existing listed building below floor level. With a footprint of approx. 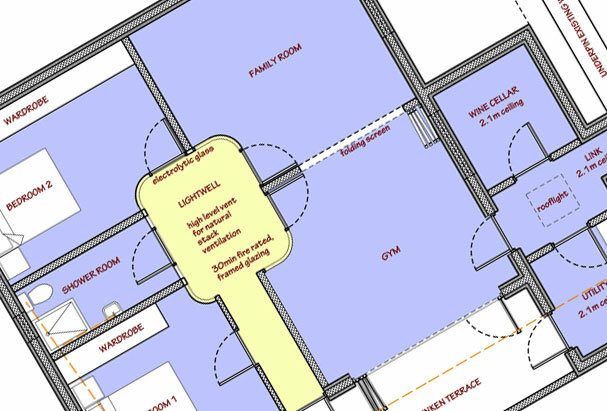 94m2, this underground extension in Sheffield would house a family room, two bedrooms, shower room, gym, wine cellar and utility room. 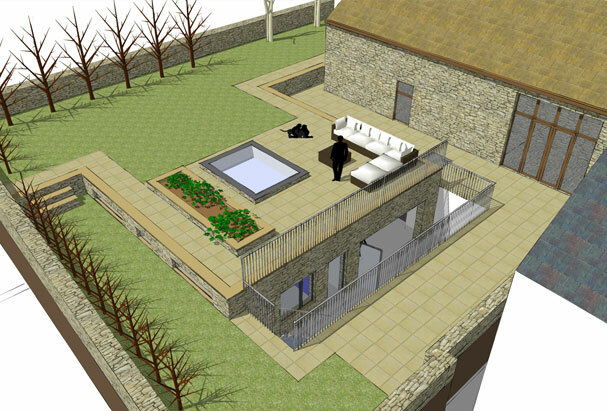 One side of the extension would have a glass front looking out onto a subterranean 20m2 patio area with access to the garden above. Once complete this would be the perfect extension to the existing building. It would provide the expanding family with all their requirements while effecting no visible alterations to the listed building. In theory it would be a winner for all, but how could it be accomplished quickly and with no interference to the existing house? Would they be able to ensure its durability and comfort for their family? 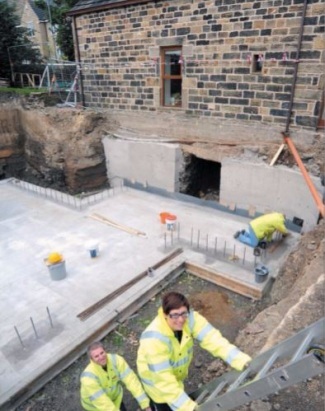 Thermohouse were contracted to supply their ICF (insulated concrete formwork) for the construction of the external subterranean walls, providing a cavity of 200mm for the concrete infill this wall can be engineered as a retaining wall to combat shear loadings and provides a U value of 0.195W/m2K., internal load bearing walls were also supplied to complete the structure required to support the roof and divide the living space. For the roof structure of the extension, Thermohouse supplied their 210mm Thermofloor panel. This is an insulated EPS (expanded polystyrene) reinforced, non-structural permanent shutter, due to its shape and being manufactured in full lengths (project specific) the panel provides in its layout for a structural “T” beam at 600mm centres along the span of the roof/floor as part of the concrete structural screed. This area above was in turn, constructed as a patio area with seating, planter boxes and glass roof lanterns for the benefit of lighting the rooms below, the garden being returned, albeit in a slightly different format. 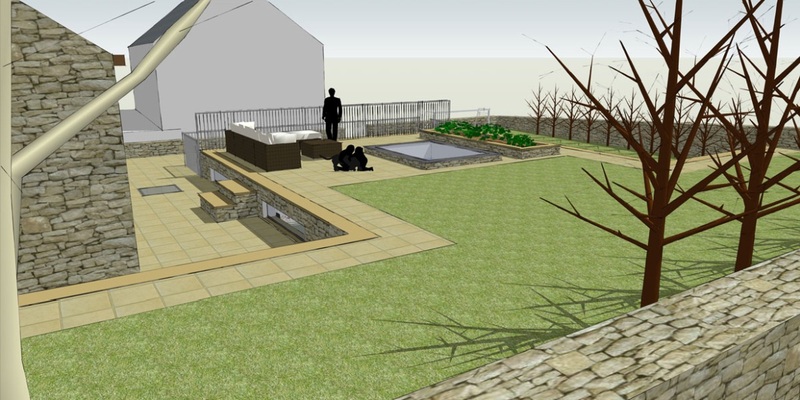 Specialists in contemporary & traditional new builds, extensions and conversions. With a refreshing approach to architecture, Design Space Architects are designing good looking, energy saving buildings often within tight budgets.